In his very influential book The Soundscape: Our Sonic Environment and the Tuning of the World Canadian composer and sound ecologist R. Murray Schafer writes that "For some time I have also believed that the general acoustic environment of a society can be read as an indicator of social conditions which produce it and may tell us much about the trending and evolution of that society". This thesis can be applied usefully to the acoustic environment of today's classical concerts in general and the BBC Proms in particular. The generally accepted explanation for the dribbles of between-movement applause and other non-musical sounds that now punctuate many concerts is that they are simply a product of the fashionable 'let's do away with silly conventions' movement. But I propose another explanation. The majority of the new inter-movement applauders come from the post-album generation. The post-albums have honed their music tastes using streaming and download services such as Apple Music and Spotify. Many do not own a CD player and the concept of an album - an extended sequence of music - is alien to them. For decades the currency of the record industry was the 60 minute album, but for the post-albums it is a track or song of much shorter duration. It can be argued with some conviction that the pesky inter-movement applause is just another expression of a fundamental shift in which the way music is consumed today. Another characteristic of the post-albums is their shortened attention span. This is driven by micro communication platforms such as Twitter; if the post-albums struggle to read a typical 200 page book is it surprising they have to dissect a 60 minute symphony into four easily-digested and easily-applauded sonic morsels? The post-albums are also, of course, a subset of the binary generation, a cohort whose worldview is seen through the prism of discrete easily-assimilated packets of data. Recently I have been listening to a combination of BBC Radio 3 relays of Prom concerts where the sonic signature of the post-album generation dominates and recordings which swim against the post-album tide. The concept album - an interlinked sonic sequence where the whole is greater than the sum of the parts - is another potential victim of the rise of the post-albums. Albums which capture the soundscape that is so important to R. Murray Schafer have always held a particular appeal for me. Among the concept albums that have featured here in the past have been Uri Caine's naughty but nice Wagner E Venezia, Manuel Hernia's transcultural The Whisper of the Orient and Eduardo Paniagua's evocation of the Muslim call to prayer Almuédano . 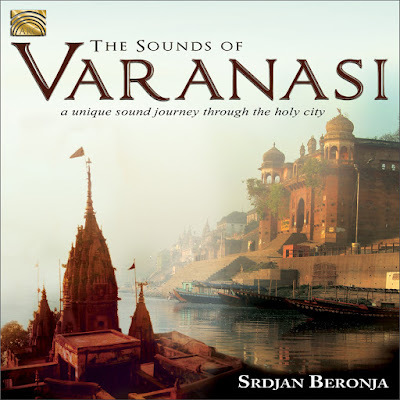 To this list of recommended soundscape albums I am adding Srdjan Beronja's The Sounds of Varanasi. Srdjan Beronja is a Serbian percussionist, musicologist, composer and producer who was born in Novi Sad in 1976. In 2001, he moved to India and studied the Indian tabla in the city of Varanasi with several Indian masters of the instrument. Ten years later he moved to Seattle / USA where he started an experimental multi-instrumental chamber music project that mixes traditional rhythmic structures, improvisation, notated music, minimalism and trance. His book The Art of the Indian Tabla is both a practical guide to the tabla and a meditation on Vedic theories of Indian rhythms and the centrality of vibrations. 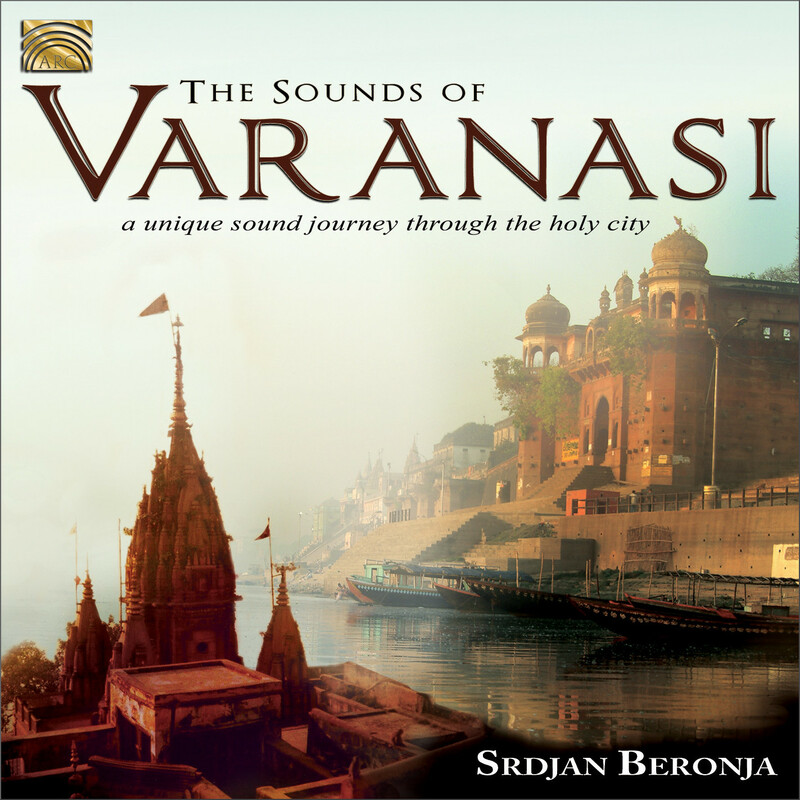 Srdjan Beronja has curated two soundscape albums, Sounds of the East and The Sounds of Varanasi. The latter album mixes live recordings of classical Indian music with local field recordings of ceremonies, Sanskrit prayer recitals, temple bells and other sounds including the chattering of monkeys. Both are worth exploring as an antidote to post-album syndrome, particularly as they can be bought for an astonishingly low price from the Arc Music label via Amazon. A sample mix of The Sounds of Varanasi can be auditioned via this link. Many, including this writer, have reservations about the influence of the post-album generation. But whether we like it or not the post-albums are here to stay. And I suggest that classical music's strategy of paying lip service to change while showing no real understanding of the very different nature of the post-album generation is a major factor in the art forms' inability to engage a new audience. Much emphasis is rightly placed on the importance of music education, but this is invariably limited to academic practices. The post-albums are musically self-taught and much more emphasis needs to be placed on how to listen, as opposed to how to 'do', music. Visionaries including John Cage, Pauline Oliveros and R. Murray Schafer have emphasised the importance of listening to the total soundscape and not just to the music. So in pursuance of this I have an off-the-wall suggestion that would help the post-albums understand the importance of deep listening. At a Prom concert a celebrity conductor with couilles - are there any left? - should turn to the audience before starting the main work on the programme and invite everyone to sit in five minutes silent meditation while absorbing the soundscape of the Albert Hall. This exercise would be a first step in inducting the post-albums into the lost art of listening, however I doubt if my proposal will find much support. But if a five minute coded lecture about Brexit after Elgar's Second Symphony is acceptable, why is a five minute silent meditation before it unacceptable? Bob, have you noticed the usage of the word 'song' re those dribbles of applause? I first noticed it a few years back and it's been driving me a touch loopy since. I first saw it in comments on YouTube, used regardless of the nature of the work in question -- Beethoven's 9th. and Bach's Matthew Passion initially startled me most. I then noticed its use when I investigated some of these music downloading sites, at that time not even knowing what they were. It's not ubiquitous -- yet -- but it's far too common. So there is a chicken-and-the-egg problem in that. I have a very hypothetical notion that it may have something to do with the interest of certain Asian nations in Western classical music and attendant language limitations, at least at the start of it. Those music sites may have picked up on that and modified their language accordingly for that market. It's a simple and common word they perhaps thought convenient as one all-encompassing. I'm inclined to think it's a more pernicious influence than it may seem, and it fits with your post-album argument. Have you ever had the misfortune of hearing Mahler 2 in concert when the conductor obeys the composer's instruction to take a long pause between the first 2 movements. What happens is that the audience immediately begins to chat and natter away, just as they do at the end of any piece of music. It is not just the post album generation - I suspect that the worst natterers in concerts are the greyhaired bunch. I live in mortal fear of what may happen when we get to the final chords of Sibelius' 5th Symphony. I agree with your suspicion. Many of the greyhairs may also have come to classical music later in life or whatever. My point above, which on re-reading I don't think I made quite clear, is that the YouTube and music downloading site users may well equate any 'piece' of music, and there's a fitting ambiguity in the word 'piece' here, with a 'song' and part of a series of songs rather than part of an organic whole. That is very true. I believe the iPod works in terms of songs - each track is a "song". It's true on Amazon music. It's true for playlists on Sonos and spotify. To play a symphony or Concerto you have to sequence each song in the right order, which is not always easy. I have not yet tried to play a whole opera or oratorio but that could also be tricky unless the software gives an album view.